The Australian Film Finance Corporation presents in association with New South Wales Film and Television Office A Still Life Pictures Production. 2001. Director: Clara Law. Music: Jen Anderson. CD	(ST)	Head Records. HEAD025. 2001. Jen Anderson - keyboard programming, Violin, viola, cello, mandolin, mandola, harmonium, tin whistle. Hartley Newnham - voice on ‘Black Starry Universe’. Marianella - voice on all other tracks. Anne Norman - shakuhachi, ocarina, whirly, ken tieu, spiral flute. Michael Livett - dan tranh, nylon string guitar. Helen Mountford - cello. Alex Pertout - percussion. All compositions by Jen Anderson. All compositions published by Mushroom Music Publishing. Recorded and mixed by Jen Anderson and Ross Cockle at Subterranean Studio, Melbourne, Australia. Mastered by Ross Cockle at Sing Sing Studios, Melbourne, Australia. 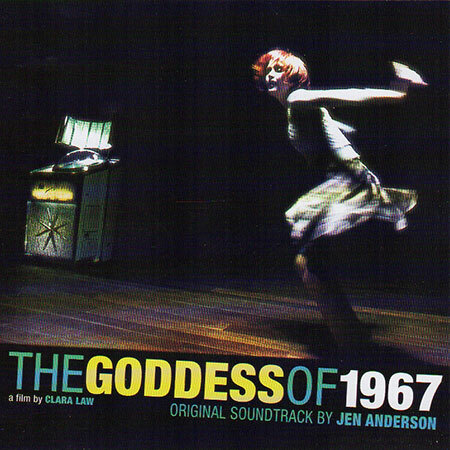 The Goddess of 1967 - Theme Song.